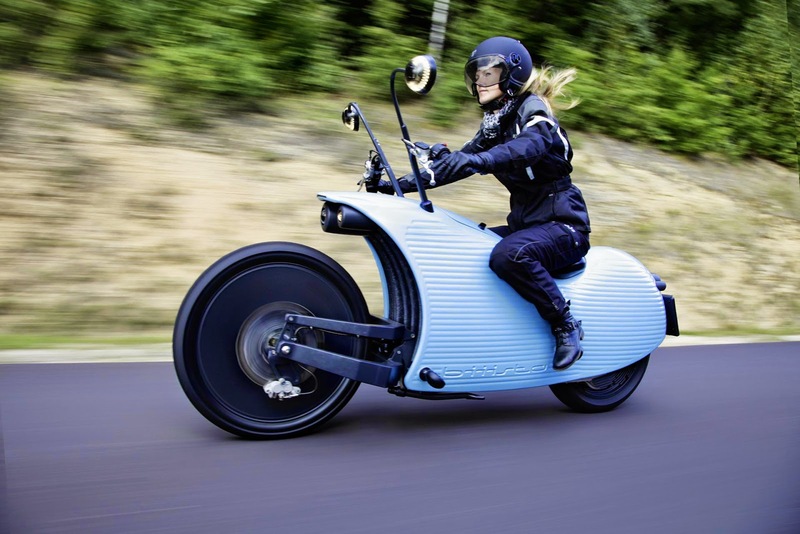 Conceptualised and born in Austria, the Johammer J1 motorbike is the first serial electric two-wheeler capable of a more than 200-kilometre range, all thanks to its ingenious energy supply system. Aesthetically, it looks like a chopper had mated with, well, a snail. The 12.7kWh battery was developed by Johammer itself and has a guaranteed service life of 200,000km or four years, without it degrading to below 85% of its starting capacity. Pretty impressive. The battery cradle seems to more or less comprise of the bike’s frame. The electric motor is enclosed in the rear wheel hub, and also works as a regenerative brake system. The gears and controls are also found back there, and requires zero maintenance. The two rear view mirrors also function as high-resolution screens to display relevant driving information. The scared gastropod look appeals to you? Well, the Johammer J1.200 costs only €25,000.